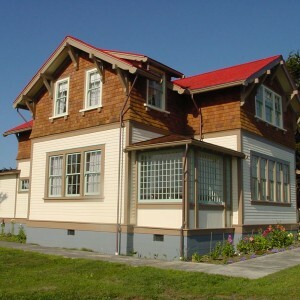 The watch porch has 90 pane windows. 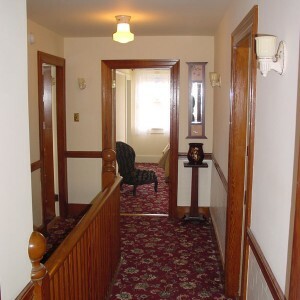 The front door has a wheelchair access ramp to the right. 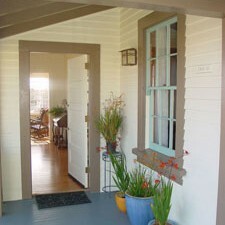 The entry porch with the watch porch in the background. 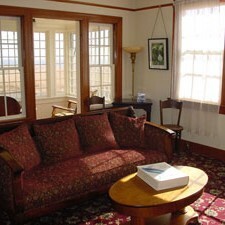 A view of the parlor with ocean vistas beyond. 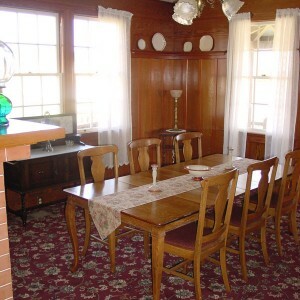 Come in, sit down and enjoy conversation with friends and family. 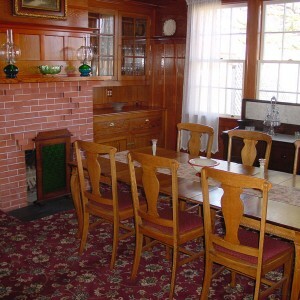 The parlor fireplace was designed to burn coal and is no longer operable. 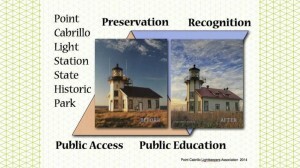 The Head Lightkeeper’s House is the middle of the three residences. Its watch porch has 90 pane windows. 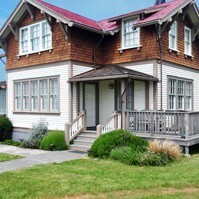 You can spend hours reading and enjoying the beautiful ocean vistas and viewing the wildlife living on the ocean headlands. 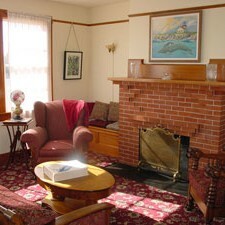 The watch porch is cozy and intimate, the perfect spot to relax, view the birds and wildlife on the headlands, see whales and watch fishing boats passing by the Lighthouse. Be sure to bring your binoculars, the views from this porch are astounding. 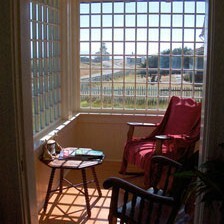 The parlor has vistas of the ocean and headlands through the historically restored original design 12 light windows. The richly colored original Douglas Fir paneling in this room create a dining atmosphere that can be found nowhere else. Bon Appetite! 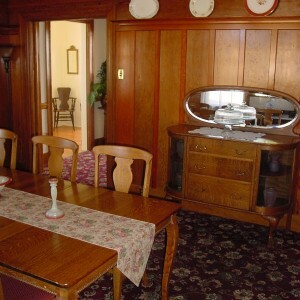 With room for eight, the elegant formal dinning room will bring joy to everyone at breakfast, lunch, and dinner. 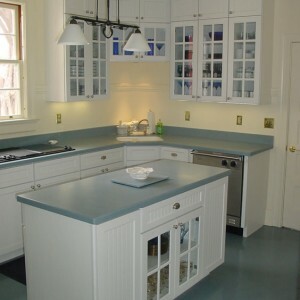 This kitchen will help you create meals to be remembered. 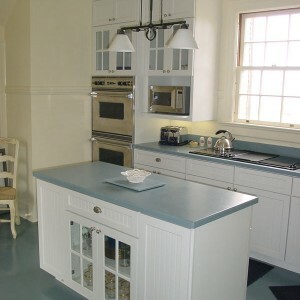 The all electric kitchen has a large central island workspace, double ovens and Viking range. 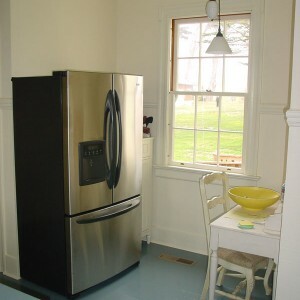 The refrigerator freezer will keep all your food fresh and delicious for the length of your stay. The richly colored original Douglas Fir paneling in the dining room creates a dining atmosphere that can be found nowhere else. Bon Appétit! The all electric kitchen with its large central island workspace, double ovens and Viking range will help you create meals to be remembered. Upstairs there are four bedrooms. 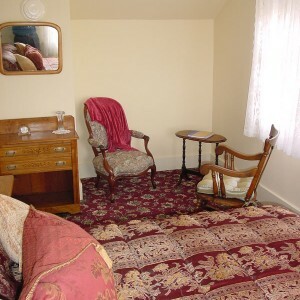 Each bedroom has a private toilette and shower. 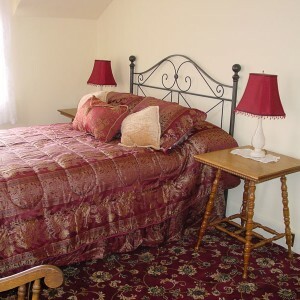 All bedrooms have queen beds. 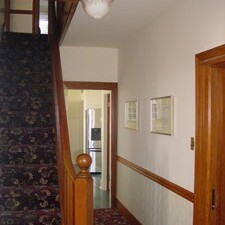 The south bedroom is the largest in the house. The east bedroom has views to the south and east. 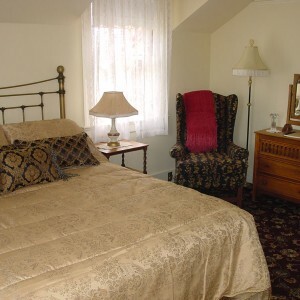 The north bedroom has views of the ocean to the north and the meadows to the east. 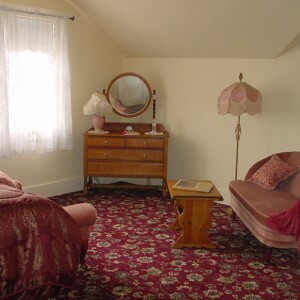 The west bedroom has views to the west and south. 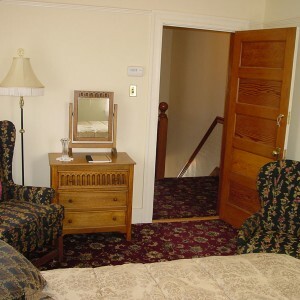 The south bedroom is the largest. 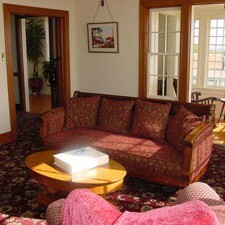 The views from the large windows include the ocean bluffs and in the distance, the Mendocino Village Headlands. 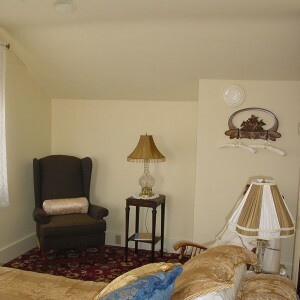 The east bedroom has a cozy seating area with tranquil views of both the ocean to the south and a panorama of the terraced coastal meadows and forests to the east. The north bedroom offers beautiful northern light with star studded skies. 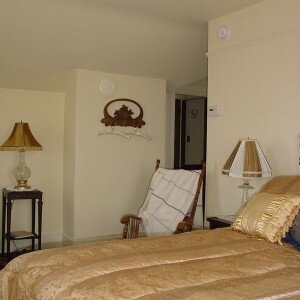 With views of the ocean to the north and the meadows to the east, you will remember your nights here long after your Point Cabrillo vacation has come to an end. 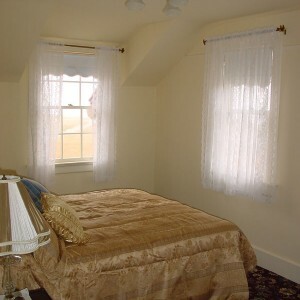 The west bedroom may have the most spectacular views of any room in the house. This room looking both west and south has a spectacular view of the Lighthouse with its beautiful beacon sweeping the horizon at night. 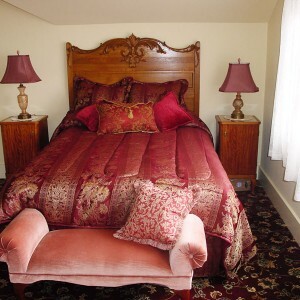 If you love lighthouses, this is the room in which you will want to spend the night. 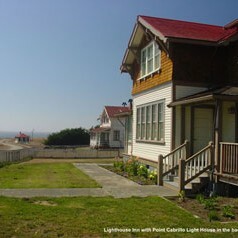 For additional information, to check availability, or to reserve nights at the Point Cabrillo Light Station Head Lightkeeper's House please contact Mendocino Coast Reservations by phone (800) 262-7801 or email mcr@mendocinovacations.com or for availability and pricing information please click here.